STIRIXIS Group is the internationally awarded strategy-through-execution consultancy firm that ensures your long-term success. STIRIXIS Group creates, designs and manages business concepts globally in the Retail, F&B, Hospitality, Workspace and Leisure industries. STIRIXIS Group provides its clients practical strategic advice aimed at maximizing the client’s ROI via its refined execution skills stemming from a profound understanding of the business environment. It brings to the table valuable experience and unrivaled capabilities gained over the past 22 years from 600 projects in 24 countries in Europe, the Middle East, and Africa. Today STIRIXIS Group has offices in Bucharest, Athens, and London. 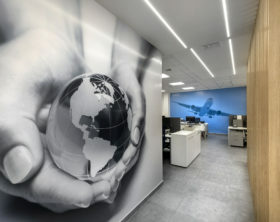 STIRIXIS Group, an internationally recognized strategy-through-execution consultancy firm, strategically designed the offices of Marine Tours, one of the largest travel organizations in Greece. 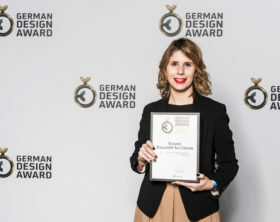 STIRIXIS Group, an internationally recognized strategy-through-execution consultancy firm, received the “Excellent Communications Design-Brand Identity” award for its project Kronos Exquisite Ice-Cream, from the German Designed Council in Frankfurt, Germany. 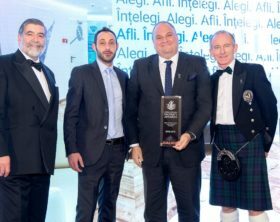 STIRIXIS Group, an internationally recognized strategy-through-execution consultancy firm, once again proved its excellence on a global level, winning the “Best International Public Service Design” award at the International Property Awards (IPA) in London.